Despite the negatives, Chip Kelly did occasionally find messages that got through to his players. 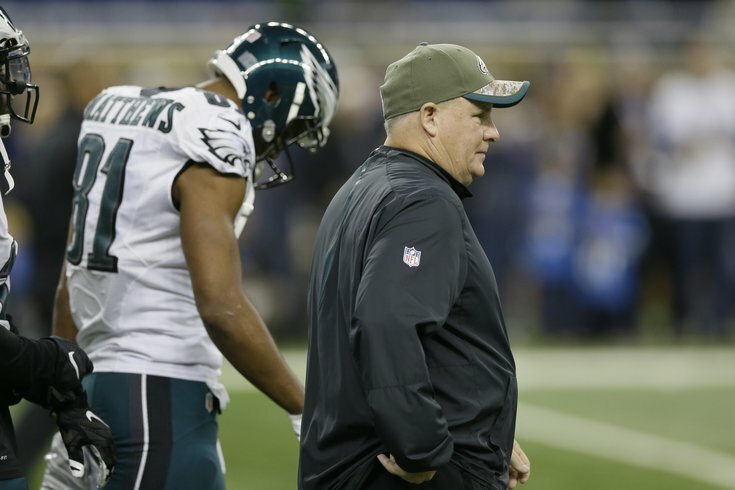 With the fallout of Jeffrey Lurie's decision to move on from Chip Kelly as the head coach of the Philadelphia Eagles, much of the focus is understandably on figuring out what went wrong and why. Much of that includes Kelly's relationships with his players, which are perceived as largely negative. What is Jeffrey Lurie looking for in the Eagles' next coach? That is certainly not an "across-the-board" sentiment, as many players took positives away from Kelly's approach. We spoke with a handful of players on what they learned from Kelly that will stay with them for the remainder of their careers. "He used to always say, 'Play out of the expectation to succeed, and not out of fear of failure.' And I feel like a lot of guys don't do that. They get into the league and money is on the line and more people are watching, they start being afraid to fail, and their play, they kinda tighten up. 'Play with the expectation to succeed.' Those words just stuck with me, so now whenever I go play I'm already like, 'Aw shoot, I know I'm gonna ball,' and that helped me. There were times when I had to lean on those words, so I really just appreciate him for that." "I appreciated the efficiency of the operation. When I first got out here as a rookie, and kind of those first OTAs, my head was spinning and I didn't really know what was going on, I had a conversation with him. It was kind of personal. I don't really want to share what that was, but that kind of stuck with me in my time here." "Never lose sight of who you are. Always stay confident in your abilities. When I came here from Carolina, I wasn't playing like myself. I wasn't as confident in myself as I should have been and Chip helped me get back to that, and that's kind of what he's been all throughout college. He constantly stayed in my ear about the type of player that I was and the type of player that I could be. Always know who I am. Stay true to who I am, and be confident in who I am." "Taking care of my body. I learned a lot from that, for recovery." "One thing he always said was, 'You get out of football what you put into it.' That always lit a light up with me. It made sense to me, being a walk-on at Iowa. I put a lot of work in. Whatever you put into it, you get out of it. I like that." "I really liked the approach of working smarter, not harder. When he first came in, he preached about how when he was explaining how he was going to do things different, if it's going to make you better, why not do something that might be different? He used the example of back in the 70's, drinking water was considered terrible for football players, when in reality it's actually better to be hydrated. Essentially that's kind of what he was saying is not to be set in one way, not to be set in 'This is how it's done, this is how it has always been done, so we should do it that way.' I think it's just being open to other possibilities of approaching a solution." "Expect the hard, react to the easy, especially on the football field. Expect the other player to do something that's hard to beat, and react if he does something easier." "I'm going to always do some of the stuff Chip did, because he had some good stuff in there, some stuff that opened my eyes. People need to take this chance now to think about what they learned from him. For me, the bad stuff is the bad stuff, but I'm trying to think about what I learned that's going to carry me to this (next coach)... The good stuff was that he implemented the sports science part that I never knew could help me so much. I feel like I can go another season. I mean, mentally, no, but body-wise, yeah, I could go another season."